Mac OS 10.11 El Capitan’s now been out for a day or so, and you may be wondering whether it’s safe to upgrade. As far as Lightroom goes, there are a couple of issues under investigation so far. The big one – Nikon and Leica tethering is not working. Update 2016-01-27 – Nikon tethering is fixed in Lightroom 2015.4 / 6.4. Leica tethering is still waiting on an update from Leica. It also appears that there’s a problem with LUT monitor profiles, although smaller Matrix profiles are working as expected. Some people (including Peter in the comments) are seeing a permissions problem for new Lightroom installations, which can be fixed using step 6 in this tech note. Adobe also now have their own tech note. I’ll add to this list as I hear of additional problems. Other Adobe applications are also affected by compatibility problems, including issues with Audition, Photoshop and Premiere. There’s a thread at MacRumors with a list of other software known to be working or not working. Nice post! Thanks for the info. That sounds like a permissions problem in the OS. I’ve seen it in the past when Nik software was already installed and had made the folders LR needed to access read-only. Well done for fixing it! Since I upgraded to OS X El Capitan, my Lightroom CC is not working properly. It is extremely slow and slows down the rest of my computer when Lightroom CC is open. Whenever I try to click on anything in LR, the little wheel starts turning and freezes up the computer. I spent two hours on the phone with Apple and they were very helpful… we tried everything we could and there is nothing wrong with my computer. Open a thread on the forum (link on the menubar) Donna and we’ll help you troubleshoot. It’s much easier to talk there than it is in blog comments. Want to thank you for the information about how to reconnect Lightroom catalog structure to folders and files. My friend had used LR 5 on Windows 7 to create a nice organized catalog structure and pictures, all on an NTFS external drive. Then he bought LR 6 Mac OS version. He was able to open his catalog (converted from 5 -> 6 by Lightroom) from the external drive after we installed the NTFS driver from Paragon-Software and it showed his structure but with references to C: and F: drive letters from Windows. The answer from you we found by Googling solved the missing files problem after we connected the top folder in the catalog to the real folder on the external drive (no drive letters used in Mac OS). It properly recursed through the catalog and all thumbnails were displayed and he is good to go using Light Room 6 with the converted new catalog now using Mac OS X volume disk references. Thanks for getting him on the right path with OS X 10.5. You’re welcome Larry! I’m glad he’s back up and running properly now. Think the performance of Lightroom is actually quite bad. I use 2 different Mac’s (office computer and office computer). On my “working-horse”, there’s no way to work with LR CC (!) the performance feels like Lightroom 2. On the macbook, I’m able to work. Oh dear Silvan, is this on El Capitan? What are the system specs for the “working-horse” machine? Upgraded to El Capitan and now LR3 totally fails to even see my Canon 5DII. Can’t import without a card reader now? LR3’s too old to have been checked, but I’d guess that it’s probably a Canon driver problem. Can the Image Capture app access the camera? I’m having the same problem, Ben. I can get Photos to open my pictures but can’t access the RAW files for some reason and LR3 can’t see my device. Grr! If Photos can’t access them, it means it’s a bug in the OS or driver code. Sorry! A card reader is a more reliable solution, particularly when you’re using older software. I’m having the same issue. Upgraded to El Capitan… now Photos will recognise my Canon 50D but LR3 won’t… Any solution?? Use a card reader. LR3 is old software so it won’t be updated, although an OS update might fix it if you report it to Apple. Did a clean install to El Capitan. Renistalled LR CC and PS CC. LR & PS seem to work okay but any of the Nik collection apps will crash LR when I right-click on an image and try to use the “edit with” feature. Stand alone Nik apps work. I uninstalled and reinstalled Nik. No change. Photoshp doesn’t crash but the lttle Nil panel doesn’t work (says the app, Color Efex for example, is unavailble). I’d drop the guys at Nik an email. They may need to send you an update. Just spent over 3 hours with Adobe Lightroom specialist, ever since their update today Lightroom crashes on exporting. This was not a problem before and the only things new is that I am now on El Capitan and Lightroom update. Sorry to hear that Karen. Try the steps at the beginning of the blog post – try trashing prefs, turning off the Add Photos screen and worst case scenario, roll back to 6.1.1. Will do, Adobe is supposed to call me back in an hour. They kept insisting it was a corrupt catalog until a catalog back up from before the update and before El Capitan crashed on launch, now looking for other issues. Sorry to be a pest but how do I roll back? I really need to get back to work. Thank you for your help. Ah, sorry, it’s the instructions at the beginning of this post you need! https://www.lightroomqueen.com/whats-new-in-lightroom-cc-2015-2-and-lightroom-6-2/ Just before the So what’s new? line. Hi, I Have the same problem. Lightroom CC with the last upadate and El Capitan… Crash at Export. Won’t let me download 6.0 and install keep getting stuck with 6.2! Thank you Victoria I am back with 6.0 and the “corrupt” catalog allowed me to export 174 images! Adobe is still insisting it is the catalog. Phew! I’ve emailed the Lightroom team and they’re passing the known crashes back to the tech support guys, but the wheels of change turn slowly over there. Installed El Capitan, now my nikon d800 won”t tether now on lightroom 5. Did the photoshoot to my card, plugged into lightroom, dowloaded pictures without a problem. Nik software runs great, just can’t find my camera to tether. Hope this gets fixed soon or i’m going to have to drop $300. to purchase capture one just so i can tether my camera. I don’t understand why its been working for the past years and suddenly its become nikon’s problem?? It was working for years on older operating systems, but Nikon need to update their SDK (software development kit) to work with the newer operating system. Other companies, including Adobe, use the SDK that Nikon provide to control the cameras. If everyone was still on the old operating system, Lightroom would still tether correctly. That’s good to know, thanks Uffe! I never had issues with Lightroom CC on my two MacBook Pro Retina (both one year old). But since installing El Capitan I get a lot of corrupted Canon 5D III RAW images … they import fine and then suddenly the image is corrupted (only Raw , jpg are fine). Never an issue under Yosemite. I only use San disk cards and it’s unlikely that they all are damaged at the same time … so must be Lightroom with El Capitan. Don’t even want to import my latest photoshoot … Any more people that issue? I’d wonder about your card reader Andreas, or camera cable. I haven’t heard of any other reports of corruption caused by Lightroom, and there’s a lot of people using that camera. Every case of corruption I’ve seen for years has been caused by a hardware fault of some description. When you say they’re corrupted, the previews aren’t just turning black? That would be a bug with auto tone on import if so. You mean you’ve selected Adobe RGB as your monitor profile? That’s a working space profile – it’s no good for a monitor. Ideally you need a properly created monitor profile using a calibration tool, but even the OSX monitor calibration tool should be a better bet than AdobeRGB. My Hoodman RawUSB3.0 Steel UDMA Card Reader is no longer recognized since I upgraded to El Capitan. Nothing I have tried works. I contacted Hoodman and it seems to be a known problem as they said they are looking into it and would have something shortly. Thanks for sharing that Raphael. I hope they solve it for you soon. What is the best way to upgrade up to the version before this last one that seems to have too many issues right now. What cost is there to upgrade? To purchase, you have a choice. You can either go for the CC subscription at $9.99 a month or the perpetual license upgrade. The CC subscription includes Lightroom, Photoshop and mobile sync. The perpetual license just includes Lightroom and doesn’t get the most recent additions such as Dehaze. To hunt down the upgrade, go to https://www.adobe.com/products/catalog/software._sl_id-contentfilter_sl_catalog_sl_software_sl_photoshopcollection.html Click the Buy link next to Lightroom, then it’ll show the pop-ups so you can change Full to Upgrade. Then you can select your current LR version and checkout. If you’re not in the US, change your country in the bottom left corner. 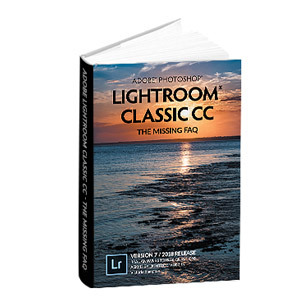 If you do want to buy Lightroom 5, you’ll have to track down a boxed copy from somewhere like Amazon. Running mid-2010 iMac, El Capitan (10.11), and a trail version of Lightroom CC (2015.2.1). I have been using Lr 4.4, but acquired a Fuji camera that outputs RAF raw files–no support in 4.4. Issue: Lr CC boots slowly, runs slowly, freezes, unfreezes (sometimes), sliders and controls become unresponsive. In short: it is very unreliable for me. I am able to afford the monthly cost of Lr CC, I have 20 days left on my trial, but the headaches are too many. Might future versions of Lr CC or updates to El Capitan remedy this, or is my system too old to benefit from likely fixes? (Lr 4.4 has been very dependable for me.) Thanks! Hi Steve. The latest CC release has been a nightmare all round. Roll back to 6.1.1 for the rest of your trial https://www.lightroomqueen.com/how-do-i-roll-back-to-lightroom-2015-1-1-or-lightroom-6-1-1/ and if you’re still seeing trouble with that, go to Preferences > Performance and disable the graphics processor checkbox as your GPU is probably a bit old to see any benefits from that. Victoria, thanks so much for your comment/advice! 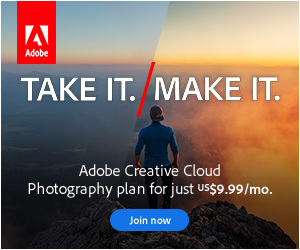 Adobe has changed the world of design, photography, etc., and continues to do so, with incredible and powerful tools for creatives. But every egg the Golden Goose lays is not golden. (Only in fairy tales!) The latest Lr CC seems to be a stumble. I am sure that fixes will be coming. But you suggest alternatives to waiting that are very helpful. Cheers! Just found your site. Been a long time user of LR and have a question. I’m switching from the windows world to a new iMac 5K. My question is, if I go with LR 6.1.1 will LR work well on the new system? I know 6.2 has been a mess but I’ve also heard that LR 6 was terribly slow on Yosemite. Has all that been cleared up with El Capitan? I really want to make the switch to Mac but need to make sure LR will work speedily on El Capitan. Thanks for your help and I look forward to reading more of your blog and checking out your forum. I have a dell with an i7-2600 CPU 3.4 with 16 GB ram and a 1.5 TB 7200 HD. Windows 7 Pro 64 bit. My current LR speed is mostly good. Small delays going from image to image when 1:1 previews aren’t made, like on old photos, or when going from image to image in Develop. Switching to a Mac is to get out of the windows ecosystem. It has nothing to do with the current performance of LR on my system. But, I want to make sure that my new system is faster than what I have. I know it will be for other software and for just turning on the machine and loading LR and Photoshop but I’ve heard about the slowness – moving from photo to photo, the sliders (which work great for me now). I’m still using LR 4.4 and camera raw 7.4 to process my raw D700 images. I will update to LR 6.1 or whatever is the best performing version when I get my new iMac. I’m not seeing any slowness with sliders. Moving photo to photo in Develop is primarily related to the speed of the hard drive your photos are stored on as well as the CPU, so you shouldn’t see any decrease there either. The high resolution retina screen is more taxing than standard screens, but the new GPU feature helps to keep the slider movement smooth once the photos are loaded. I have another Problem. I can not Import or synchronies any Pictures or Folders. I have El Capitan 10.11.1 and LR 6.2.1new MacBook Pro with 1 TB SSD Drive…. 🙁 If I but an Folder to the Cataloge, the folder is on my internal hard drive, so the program import the folder, i can see the preview of the imported pictures 1-3 seconds and then they turn into black and thats it. If I synchronies a folder from an external hard drive the program do nothing. I install the LR a few times new, i turned off the external plugins, but nothing helps. Has anyone the same problems..? For what it´s worth………. I also had trouble with my iMac card reader (it wasn´t recognized), but after I configured “Photos” to accept my pics, it seems to work OK in Finder as well as in LR. No trouble at all though with my MacBook Air…….. I have re-installed LR 6.1.1 on both machines. It’s Nikon you need to chase. Adobe can’t fix it until they update their SDK. SDK = software development kit. Essentially Nikon provides the code and instructions on how to talk to their cameras, and Lightroom uses that code. That code currently isn’t compatible with El Capitan, so Nikon need to update their code and pass it on to Adobe (or Nikon need to talk to Apple about fixing something in the OS to make their old code work again). I thought my old Mac was almost dead so I spent three and a half grand on a new one only to find to my horror that LR still will not work with El Capitan. Spinning beach ball impossible to edit anything. So frustrated. Nooooo, it’s running fine for most people. There’s some troubleshooting we can do – check you have the latest version, try trashing preferences, try a clean catalog, try a clean user account, etc. If you want a hand, post on the forum (http://www.lightroomforums.net) and we’ll walk you through the options. I haven’t heard any significant issues other than the Nikon/Leica tethering problem that’s affecting all LR versions on El Capitan. What error is it giving? Are these mosaic DNG files, or perhaps lossy ones? Were they viewable before the upgrade? Anyone out there have a tethering solution? I can’t believe Nikon just stuffed all the working pros out here with this.. I heard they’d updated CCP2 a few weeks ago. Capture One tethering is reportedly working with some issues. The LR team have the new SDK (although I can’t promise it works properly) and should be in the next update. Last update was mid-November and they’re usually about 3 months apart. Wow still no fix! What a horrible situation. Looking at Nikon’s website, they only released the updated SDK mid-December, and there were obviously some pretty significant changes. Building that in, and then doing all of the testing takes time, and Adobe were closed between Christmas and New Year. I would hope it’ll be ready soon. Thanks for your response. I only use tether about once a year for critical copy work. I have gone back to LF film for peace of mind. I have a Nikon D700 and D300 that I use with Lightroom 3 on an iMac 24. After upgrading to El Capitan 10.11.3 Lightroom 3 does not see the camera when attempting to import pictures. I tried the new PHOTOS app in El Capitan and can import from the camera without problem. Logic tells me that Nikon updated their SDK and Apple incorporated the change in PHOTOS. It seems that the problem rests with Adobe. My guess is that Adobe will never upgrade Lightroom 3 so I either upgrade Lightroom or use a card reader. Am I on the right track and do you have any recommendations for card readers? Thank you. You’re right that Adobe won’t upgrade LR3, so yes, I think you’re on the right track. I’ve done well with Lexar and SanDisk card readers in the past, but even cheap ones should work (although they’ll be slower). Your best bets are either to upgrade Lightroom or use a card reader. Obviously something’s changed in the OS, but since LR3 is no longer shipping, Adobe won’t go back and update Lightroom for the changes. What happens when you try? And how are you trying to add them, as some are external editor presets rather than plug-ins. I am just learning about external editor presets…Have had some success in getting the HDR program to be accepted as an external editor but since I am a novice I have not yet figured out how to use them..but progress is a good thing.. There were some minor issues from Mavericks onwards, documented here: https://www.lightroomqueen.com/lightroom-compatible-os-x-mavericks/ and those have continued to affect later OS updates too. Some people are reporting that the import dialog doesn’t detect a camera connected by USB in some OS versions (mainly El Capitan), but a card reader works. Nothing significant Sidney. There are minor bugs, which is try of every piece of software on the market, but no showstoppers. So if you have 5.6 version of lightroom you must upgrade to shoot Teathered with my Nikon ? Yes, or downgrade your operating system. Adobe won’t go back and update older versions of their software to keep with external changes. I have LR V 2.0 and i thought I had a loser version BUT can’t find it my 20 inch i mac died of hard drive failure and I have 21.5 inch now with El Capitan 10.11.6 system just need to know if LR will make me happy. I can’t promise Lightroom will make you happy, but what do you mean you thought you had a loser version? I have an older version of Lightroom (vs 3) and since i updated my IOS to El Cap on my macbook pro retina, LR doesn’t recognize my Fuji camera. any thoughts/ideas? thanks in advance.. appreciate it! It seems likely that something changed in the OS and later versions were updated to work with the changes. Workaround, if you don’t want to upgrade Lightroom, is to use a card reader. Hi Victoria. I’m using Lightroom 4 (version 4.4) and want update my Mac OS from Snow Leopard (10.6.8) to Yosemite or El Capitan, yet I am not finding clear information on whether Lightroom 4 will work with these operating systems . I use a flash card memory reader, so tethering issues aren’t important. Can you tell me if Lightroom 4 works fine with: Yosemite? El Capitan? Thanks! It’s not supported, but yes, it works. The sliders look funny (https://www.lightroomqueen.com/lightroom-compatible-os-x-mavericks/) and there may be other minor issues, but the essentials function. Finallyyy just made the jump to el capitan on my macbook pro and now my canon rebel T3i wont register on my LR3. Was anyone able to work out any quick fixes? LR3 was no longer in development when El Capitan was released, so it didn’t get updated for changes in the OS. You could consider upgrading to LR6, which is available at a discounted price (instructions on https://www.lightroomqueen.com/shop/adobe-photography-plans/ as it’s well hidden). Alternatively, take the memory card out of the camera and put it in a card reader should work.